She is a physician and busy mother of two boys, and she wanted to update her dining room with paint and accessories to make it a "sanctuary from the chaos." Well, you know I can relate to that! Using her drapes as a jumping off point, I set out to create a soothing room with a neutral palette and a mix of shiny and rustic objects. Since everyone likes to save money, I try to offer the "look for less" option whenever possible. With this particular project, my client could choose to go high or low on a couple of the pieces. The colors were perfect, and it has wonderful texture. But, we have 8 chair seats to recover, and at $69/yd, it's a bit pricey. This fabric offers a very close colorway, and a similar pattern despite being a bit busier. 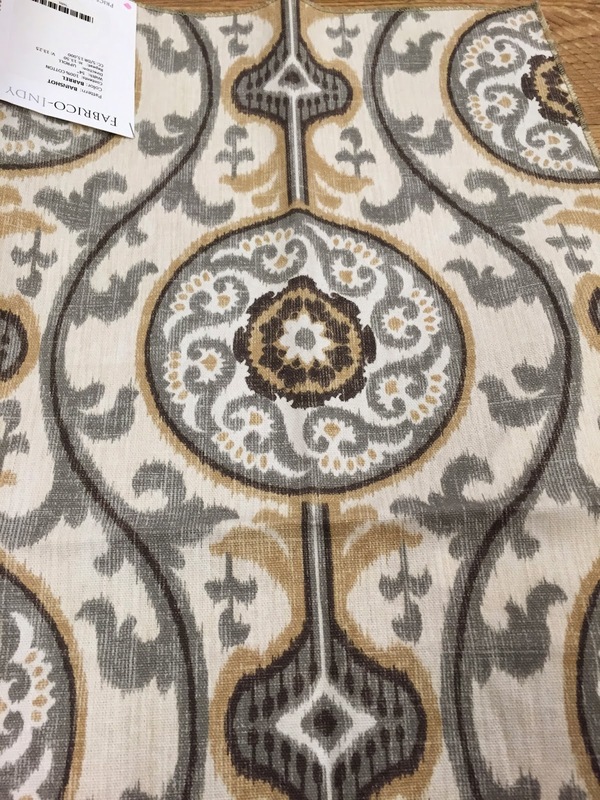 However, this fabric was available on ebay for a steal…. $8.98/yd. My client actually preferred the look of Option 2, so it was a no brainer to save the money! 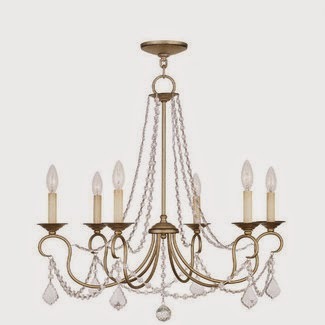 Next up… the chandelier! In this case, we had three options -- high, mid, or low. 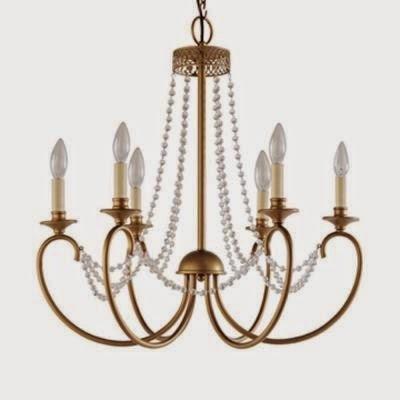 Option 1 was the high-end beaded glass trim chandelier from Shades of Light. Price: $1,050 …. We are going with Option 2, because my client liked the extra crystals at the bottom. I think she made a great choice, and I can't wait to see it in the room. I'll do a before and after post on this project when it's complete, so you can see how it all comes together. 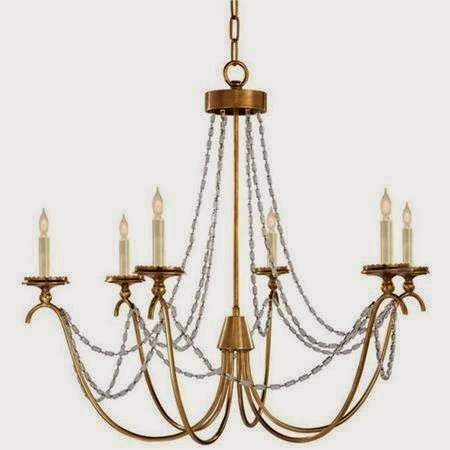 If you've been eyeing an expensive fabric or light fixture, but can't bring yourself to fork over the cash, do not despair. Somewhere there is a look for less, and with a little research, you can find it. Heck, you might even like it better than the original! 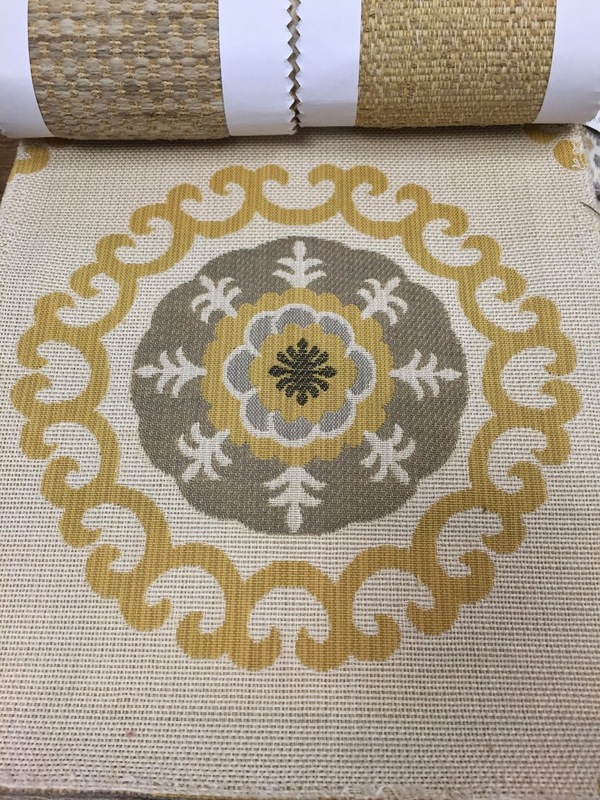 Do you have a preference on where to order 8x10 sisal rugs from like you have show here? I have looked at Pottery Barn and they are about $350. Hi Kathy... This particular rug is seagrass, and is from overstock.com. I have also ordered from naturalarearugs.com and have been very pleased with their product. Hope that helps! 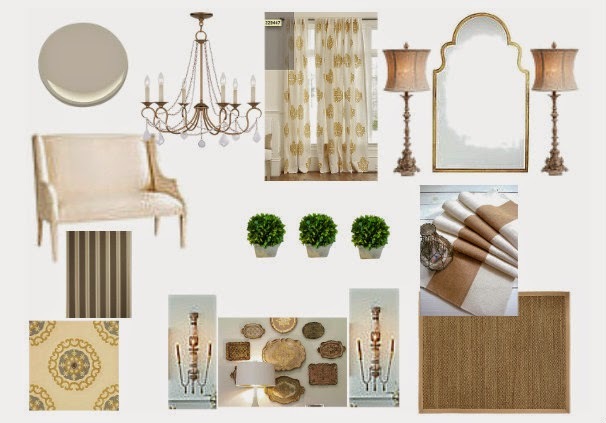 I like option 2 on the fabric too, and the chandy that she chose too!! !